Getting your photos right can be the difference between an average sale, and a great sale. Many buyers will never see the animal, except in the catalogue, or on an advert for an agent. With these 10 tips, you can take better photos that will help improve your wildlife sales. 3. Get stable. You can use anything from a beanbag, to a tripod, and even a pillow on the door frame, but whatever you do, get the extra stability to ensure sharper photos. These two are our most used tools for stability. A simple bean bag that we had made for us, and then a high quality sturdy tripod. 4. Do not only position your animal in the centre of the photo. 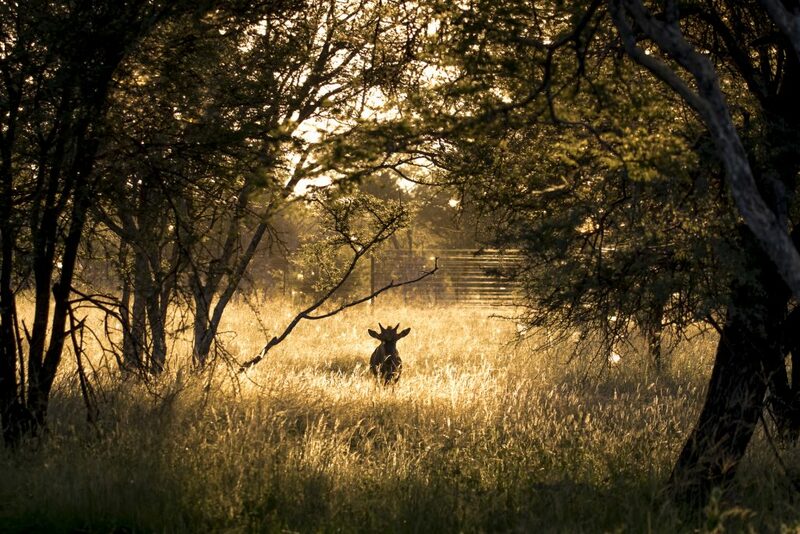 Here are some great composition tips that will make your photos look better: http://www.wild-eye.co.za/focus-composition-technical/. Once you understand these rules, you will also understand when to break them. The rule of thirds. Try to get your focal points as close to those intersecting lines as possible. 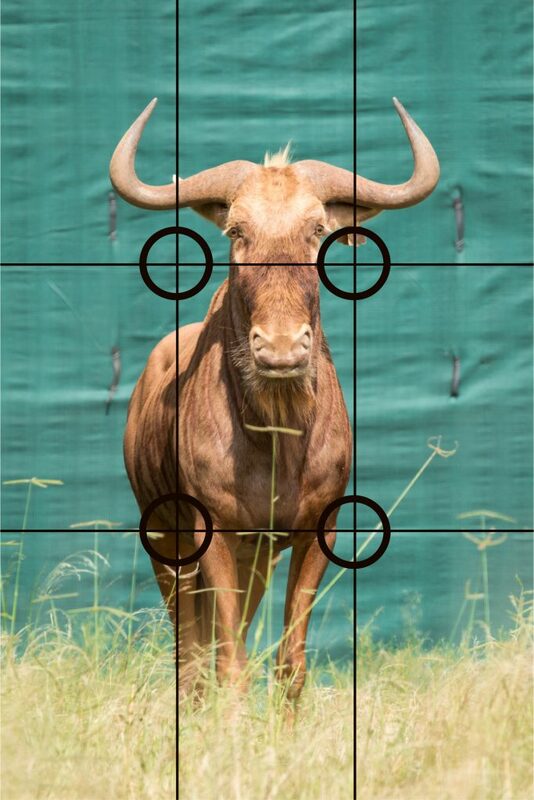 Notice how this golden bulls eyes are almost on the thirds line, and not in he middle of the frame. 5. Get low. Lie on your stomach, sit on the ground, change it up rather than just shooting all the same shots all the time. Getting to eye level or lower will also make your animal stand out and makes it possible for you to position the horns against the sky, helping to define them clearly. This is the exact same sable bull, taken only a few minutes apart. Notice how the lower positioning for the photo on the left makes the bull look much better than on the right. 6. Get the sun behind you. Shooting wildlife photography for catalogues and adverts is very different to shooting artistic photos; you need to show the animal for your potential buyers, it is better to shoot with the light behind you and not behind the animal. NOTE: shoot into the sun for some creative fun for your Facebook, Instagram and more. Although this is a great photo, and very attractive, it is not the sort of photo you would send to an agent or an auction house to market your animals. 7. Animal positioning. There are a few tips that fall under here. First, get the animal looking at you, the focus should be on the eyes. Next, get the whole animal into your frame. You want to show the entire animal, by having a full-body shot your potential buyers can make a more informed decision. If the grass is long and the legs aren’t visible, imagine where they would end, and include that in your image as well, you do not want to cut-off the legs even if they can’t be seen. Try get the animal obstruction free. It is important to not have branches, trees, and fences obstructing the animal. Lastly, keep it natural. If possible avoid things like fences, water troughs, feeding bowls, and other man made objects. This is not always possible, but it does make the photo better if they are avoided. 8. Number the animals for the catalogue. Individual sales should be on their own (it is ok if the calf/lamb is in the shot). If for example you are selling 3 non-specific nyala ewes on auction, try get a photo of 3 ewes standing together, it just makes the reading more natural. If you are selling 15 springbuck ewes for example, it is better to take herd shots than individual shots. 9. Be mindful of your F-stop. If you are adding too much depth of field, you may have an animal that is not fully in focus, but if you add too much depth your animal may no longer be isolated from the background. It takes a bit of practice, but this is where you can get creative. Both of these photos have very shallow depth of field and are well isolated from the background. The sable however has almost too much depth; notice how the eyes are well in focus, but the nose is not fully in focus and the horn tips are not sharp either. 10. And one final tip: PATIENCE. It is still wildlife photography, and unlike a product or a model, you cannot tell it what to do. We hope that these tips will serve you well for the upcoming 2018 season and beyond. If you have any other queries, please feel free to send us your questions through our contact page: CONTACT or leave a comment in the comments section below.